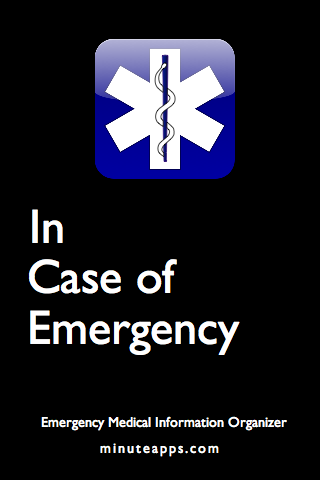 ICE is an app for organizing your emergency medical and contact information. 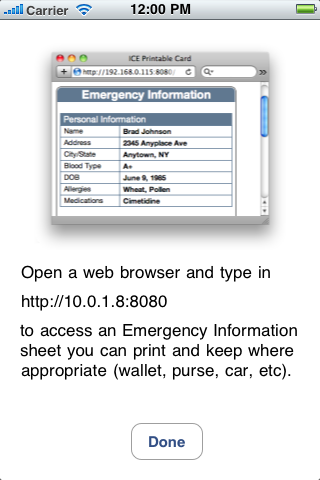 With ICE, you can print your emergency information so you can store copies in your wallet, your car, your purse, your workplace, and other places where emergency personnel can find them. 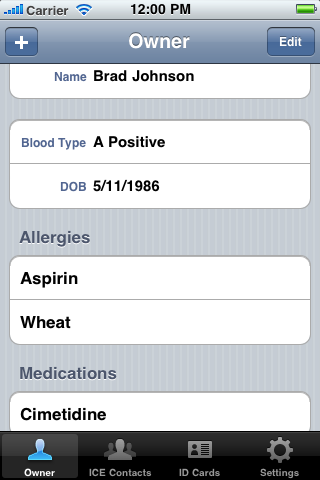 Record your vital information, such as blood type, date of birth, allergies, medications you're taking, and any additional information you deem necessary. ICE uses the information you already have about your emergency contacts in your device's Contacts app so you don't have to store separate records that need their own maintenance. 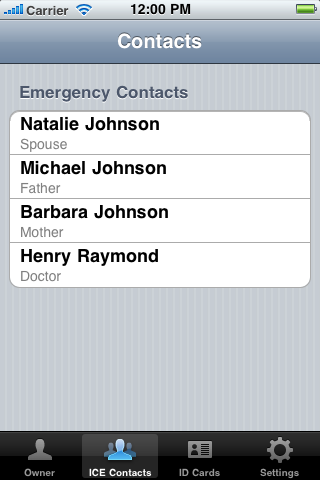 Add multiple emergency contacts, so you can include your parents, your children, even your physician. 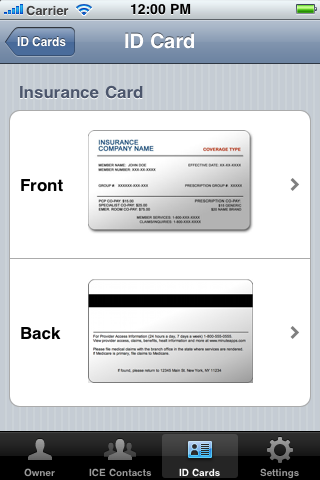 Keep images of your insurance card, prescription card, driver's license, and other necessary identification cards that may be needed. 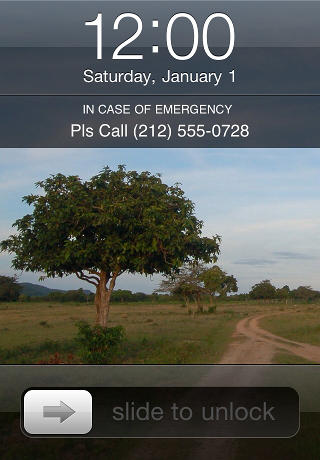 Put ICE information on your wallpaper, making it available anytime, even if your device is locked. ICE is available as a free download from the App Store. Full functionality is available via an upgrade from within the application. 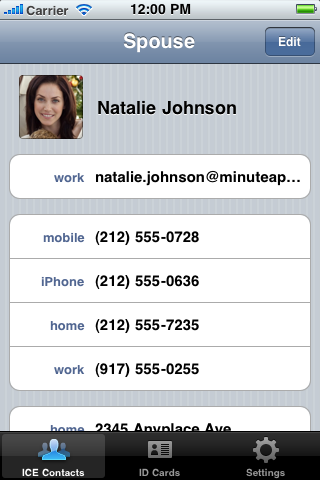 For app support, send us an email at support@minuteapps.com. Copyright © 2010 by Minute Apps LLC. Page design by Jonnotie.